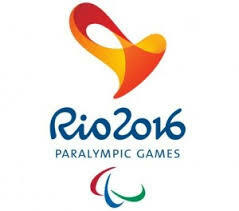 The 15th Rio 2016 Paralympics Games 2016 begins on September 7 and will go on till 18 September. More than 4342 athletes from 159 National Paralympics Committees, will compete for 528 events in 22 Olympic sports.Following are some facts and important points about Rio Paralympics 2016 which will be very important for various competitive exams. On 17 September 2016 First instance of a death in Paralympics competition occurred during the men's C4-5 road cycling event, Iranian cyclist Bahman Golbarnejhad crashed on a "mountainous stretch". The previous competition death during the Olympic Games was that of Danish cyclist Knud Enemark Jensen at a time trial in the 1960 Summer Olympics. The two new sports for 2016 Rio Paralympics Games are :- canoeing and the paratriathlon. Next Summer Paralympics 2020, the 16th edition of the international multi-sports event, will be held in Tokyo (japan) from 25 August to 6 September 2020. Total number of athletes from India in Rio Paralympics 2016 - 19 athletes(16 Men & 3 Women) for 5 sports. India capped off a successful Paralympics Games campaign in Rio de Janeiro by procuring their best ever haul of 4 medals, including 2 golds and 1 silver and 1 bronze medal apiece. Mariyappan Thangavelu got Gold medal in Men's High Jump. Devendra Jhajharia got gold medal in Men's Javelin Throw. Deepa Malik got silver medal in Women's Shot Put.